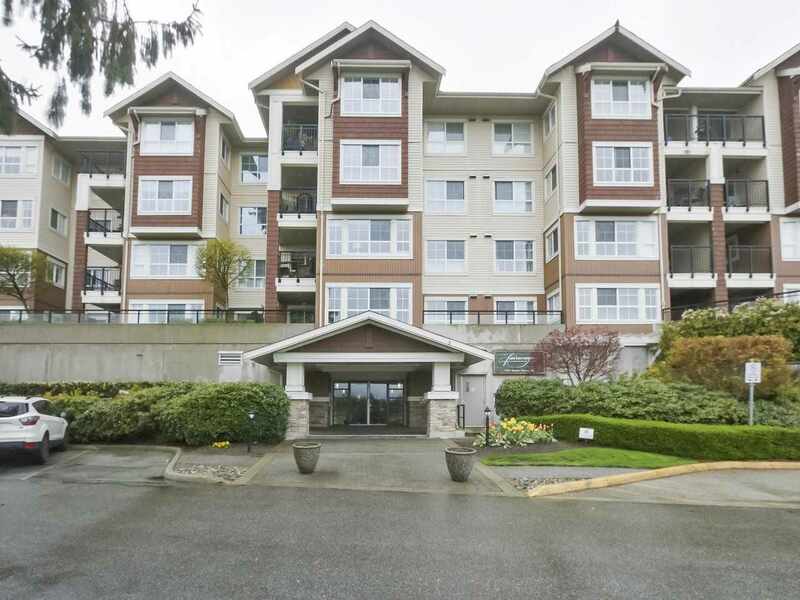 I have sold a property at 1077 BLUE GROUSE WAY in North Vancouver. Lovely home in a lovely area - Grouse Woods! The neighbourhood is very special. Ideal for a young family that likes to hike and ski. Close to Seymour Demonstration forest and Grouse Mountain. Close to schools. Quiet cul-de-sac. 3 bedrooms up and legal 2 bedroom basement suite. Freshly painted throughout. New carpet in living room. New hot water tank 2017, new decks front and back 2017. Recently painted the exterior 2017-18. New glass and aluminum railings on decks. Updated kitchen with granite counter tops and stainless steel appliances. Beautiful, large, south facing, private back yard with huge deck and built-in hot tub. Perfect for summer entertaining! A must see! OPEN HOUSE - Sat. Feb. 9 & Sun. Feb. 10, 1-4pm. Homemade cookies too! Open House. Open House on Saturday, February 9, 2019 1:00PM - 4:00PM Open House of a lovely family home with a legal 2 bedroom basement suite. Homemade cookies too! Please visit our Open House at 1077 BLUE GROUSE WAY in North Vancouver. Open House on Saturday, February 9, 2019 1:00PM - 4:00PM Open House of a lovely family home with a legal 2 bedroom basement suite. Homemade cookies too! Open House. Open House on Sunday, February 10, 2019 1:00PM - 4:00PM Open House of a lovely family home with a legal 2 bedroom basement suite. Homemade cookies too! Open House on Sunday, February 10, 2019 1:00PM - 4:00PM Open House of a lovely family home with a legal 2 bedroom basement suite. Homemade cookies too! Open House. Open House on Saturday, February 2, 2019 1:00PM - 4:00PM Open House of a lovely family home with a legal 2 bedroom basement suite. Homemade cookies too! Open House on Saturday, February 2, 2019 1:00PM - 4:00PM Open House of a lovely family home with a legal 2 bedroom basement suite. Homemade cookies too! Lovely home in a lovely area - Grouse Woods! The neighbourhood is very special. Ideal for a young family that likes to hike and ski. Close to Seymour Demonstration forest and Grouse Mountain. Close to schools. Quiet cul-de-sac. 3 bedrooms up and legal 2 bedroom basement suite. Freshly painted throughout. New carpet in living room. New hot water tank 2017, new decks front and back 2017. Recently painted the exterior 2017-18. New glass and aluminum railings on decks. Updated kitchen with granite counter tops and stainless steel appliances. Beautiful, large, south facing, private back yard with huge deck and built-in hot tub. Perfect for summer entertaining! A must see! OPEN HOUSE - Sat. Feb. 2 & Sun. Feb. 3, 1-4pm. Homemade cookies too! Open House. Open House on Saturday, January 26, 2019 1:00PM - 4:00PM Open House of a lovely family home with a legal 2 bedroom basement suite. Homemade cookies too! Open House on Saturday, January 26, 2019 1:00PM - 4:00PM Open House of a lovely family home with a legal 2 bedroom basement suite. Homemade cookies too! Lovely home in a lovely area - Grouse Woods! The neighbourhood is very special. Ideal for a young family that likes to hike and ski. Close to Seymour Demonstration forest and Grouse Mountain. Close to schools. Quiet cul-de-sac. 3 bedrooms up and legal 2 bedroom basement suite. Freshly painted throughout. New carpet in living room. New hot water tank 2017, new decks front and back 2017. Recently painted the exterior 2017-18. New glass and aluminum railings on decks. Updated kitchen with granite counter tops and stainless steel appliances. Beautiful, large, south facing, private back yard with huge deck and built-in hot tub. Perfect for summer entertaining! A must see! OPEN HOUSE - Sat. Jan. 26 & Sun. Jan. 27, 1-4pm. Homemade cookies too! Open House. Open House on Sunday, January 27, 2019 1:00PM - 4:00PM Open House of a lovely family home with a legal 2 bedroom basement suite. Homemade cookies too! Open House on Sunday, January 27, 2019 1:00PM - 4:00PM Open House of a lovely family home with a legal 2 bedroom basement suite. Homemade cookies too! Open House. Open House on Saturday, January 19, 2019 1:00PM - 4:00PM Open House of a lovely family home with a legal 2 bedroom basement suite. Homemade cookies too! Open House on Saturday, January 19, 2019 1:00PM - 4:00PM Open House of a lovely family home with a legal 2 bedroom basement suite. Homemade cookies too! Lovely home in a lovely area - Grouse Woods! The neighbourhood is very special. Ideal for a young family that likes to hike and ski. Close to Seymour Demonstration forest and Grouse Mountain. Close to schools. Quiet cul-de-sac. 3 bedrooms up and legal 2 bedroom basement suite. Freshly painted throughout. New carpet in living room. New hot water tank 2017, new decks front and back 2017. Recently painted the exterior 2017-18. New glass and aluminum railings on decks. Updated kitchen with granite counter tops and stainless steel appliances. Beautiful, large, south facing, private back yard with huge deck and built-in hot tub. Perfect for summer entertaining! A must see! OPEN HOUSE - Sat. Jan. 19 & Sun. Jan. 20, 1-4pm. Homemade cookies too! Open House. Open House on Sunday, January 20, 2019 1:00PM - 4:00PM Open House of a lovely family home with a legal 2 bedroom basement suite. Homemade cookies too! Open House on Sunday, January 20, 2019 1:00PM - 4:00PM Open House of a lovely family home with a legal 2 bedroom basement suite. Homemade cookies too! Open House. Open House on Saturday, January 12, 2019 1:00PM - 4:00PM Open House of a lovely family home with a legal 2 bedroom basement suite. Homemade cookies too! Open House on Saturday, January 12, 2019 1:00PM - 4:00PM Open House of a lovely family home with a legal 2 bedroom basement suite. Homemade cookies too! Lovely home in a lovely area - Grouse Woods! The neighbourhood is very special. Ideal for a young family that likes to hike and ski. Close to Seymour Demonstration forest and Grouse Mountain. Close to schools. Quiet cul-de-sac. 3 bedrooms up and legal 2 bedroom basement suite. Freshly painted throughout. New carpet in living room. New hot water tank 2017, new decks front and back 2017. Recently painted the exterior 2017-18. New glass and aluminum railings on decks. Updated kitchen with granite counter tops and stainless steel appliances. Beautiful, large, south facing, private back yard with huge deck and built-in hot tub. Perfect for summer entertaining! A must see! OPEN HOUSE - Sat. Jan. 12 & Sun. Jan. 13, 1-4pm. Homemade cookies too! Open House. Open House on Sunday, January 13, 2019 1:00PM - 4:00PM Open House of a lovely family home with a legal 2 bedroom basement suite. Homemade cookies too! Open House on Sunday, January 13, 2019 1:00PM - 4:00PM Open House of a lovely family home with a legal 2 bedroom basement suite. Homemade cookies too! Open House. Open House on Tuesday, December 11, 2018 10:00AM - 12:15PM Come see this lovely home with a legal basement suite. Homemade cookies too! Open House on Tuesday, December 11, 2018 10:00AM - 12:15PM Come see this lovely home with a legal basement suite. Homemade cookies too! Lovely home in a lovely area - Grouse Woods! The neighbourhood is very special. Ideal for a young family that likes to hike and ski. Close to Seymour Demonstration forest and Grouse Mountain. Close to schools. Quiet cul-de-sac. 3 bedrooms up and legal 2 bedroom basement suite. Freshly painted throughout. New carpet in living room. New hot water tank 2017, new decks front and back 2017. Recently painted the exterior 2017-18. New glass and aluminum railings on decks. Updated kitchen with granite counter tops and stainless steel appliances. Beautiful, large, south facing, private back yard with huge deck and built-in hot tub. Perfect for summer entertaining! A must see! OPEN HOUSE - Sat. Dec. 15th, 1-3 pm. Homemade cookies too! Open House. Open House on Saturday, December 15, 2018 1:00PM - 3:00PM Come see this lovely home with a legal 2 bedroom/2 full bath basement suite. Homemade cookies too! Open House on Saturday, December 15, 2018 1:00PM - 3:00PM Come see this lovely home with a legal 2 bedroom/2 full bath basement suite. Homemade cookies too! Open House. Open House on Tuesday, December 4, 2018 10:00AM - 12:15PM Realtor Open House. Realtors are welcome to bring their buyers too. Join us for homemade cookies. Open House on Tuesday, December 4, 2018 10:00AM - 12:15PM Realtor Open House. Realtors are welcome to bring their buyers too. Join us for homemade cookies. Lovely home in a lovely area - Grouse Woods! The neighbourhood is very special. Ideal for a young family that likes to hike and ski. Close to Seymour Demonstration forest and Grouse Mountain. Close to schools. Quiet cul-de-sac. 3 bedrooms up and legal 2 bedroom basement suite. Freshly painted throughout. New carpet in living room. New hot water tank 2017, new decks front and back 2017. Recently painted the exterior 2017-18. New glass and aluminum railings on decks. Updated kitchen with granite counter tops and stainless steel appliances. Beautiful, large, south facing, private back yard with huge deck and built-in hot tub. Perfect for summer entertaining! A must see! OPEN HOUSE - Sat. Dec. 8th, 1-4 pm. Homemade cookies too! Open House. Open House on Saturday, December 8, 2018 1:00PM - 4:00PM Come see this fabulous home with a legal 2 bedroom basement suite. Open House on Saturday, December 8, 2018 1:00PM - 4:00PM Come see this fabulous home with a legal 2 bedroom basement suite. Open House. Open House on Thursday, November 29, 2018 10:00AM - 12:15PM Realtor Open House. Realtors are welcome to bring their buyers too. Join us for homemade cookies. Open House on Thursday, November 29, 2018 10:00AM - 12:15PM Realtor Open House. Realtors are welcome to bring their buyers too. Join us for homemade cookies. Lovely home in a lovely area - Grouse Woods! The neighbourhood is very special. Ideal for a young family that likes to hike and ski. Close to Seymour Demonstration forest and Grouse Mountain. Close to schools. Quiet cul-de-sac. 3 bedrooms up and legal 2 bedroom basement suite. Freshly painted throughout. New carpet in living room. New hot water tank 2017, new decks front and back 2017. Recently painted the exterior 2017-18. New glass and aluminum railings on decks. Updated kitchen with granite counter tops and stainless steel appliances. Beautiful, large, south facing, private back yard with huge deck and built-in hot tub. Perfect for summer entertaining! A must see! OPEN HOUSE - Sat. Dec. 1st, 1-4 pm. Homemade cookies too! Open House. Open House on Saturday, December 1, 2018 1:00PM - 4:00PM Come see this fabulous home with a legal 2 bedroom basement suite. Open House on Saturday, December 1, 2018 1:00PM - 4:00PM Come see this fabulous home with a legal 2 bedroom basement suite. Open House. Open House on Saturday, November 24, 2018 1:00PM - 4:00PM Join us for homemade cookies and a viewing of this lovely home with a legal 2 bedroom/2 bathroom basement suite at garden level. Open House on Saturday, November 24, 2018 1:00PM - 4:00PM Join us for homemade cookies and a viewing of this lovely home with a legal 2 bedroom/2 bathroom basement suite at garden level. Lovely home in a lovely area - Grouse Woods! The neighbourhood is very special. Ideal for a young family that likes to hike and ski. Close to Seymour Demonstration forest and Grouse Mountain. Close to schools. Quiet cul-de-sac. 3 bedrooms up and legal 2 bedroom basement suite. Freshly painted throughout. New carpet in living room. New hot water tank 2017, new decks front and back 2017. Recently painted the exterior 2017-18. New glass and aluminum railings on decks. Updated kitchen with granite counter tops and stainless steel appliances. Beautiful, large, south facing, private back yard with huge deck and built-in hot tub. Perfect for summer entertaining! A must see! OPEN HOUSE - Sat. Nov. 24, 1-4 pm. Homemade cookies too! Lovely home in a lovely area - Grouse Woods! The neighbourhood is very special. Ideal for a young family that likes to hike and ski. Close to Seymour Demonstration forest and Grouse Mountain. Close to schools. Quiet cul-de-sac. 3 bedrooms up and legal 2 bedroom basement suite. Freshly painted throughout. New carpet in living room. New hot water tank 2017, new decks front and back 2017. Recently painted the exterior 2017-18. New glass and aluminum railings on decks. Updated kitchen with granite counter tops and stainless steel appliances. Beautiful, large, south facing, private back yard with huge deck and built-in hot tub. Perfect for summer entertaining! A must see! OPEN HOUSE - Sat. Nov. 17, 1-4 pm. Homemade cookies too! I have listed a new property at 1077 BLUE GROUSE WAY in North Vancouver. Lovely home in a lovely area - Grouse Woods! The neighbourhood is very special. Ideal for a young family that likes to hike and ski. Close to Seymour Demonstration forest and Grouse Mountain. Close to schools. Quiet cul-de-sac. 3 bedrooms up and legal 2 bedroom basement suite. Freshly painted throughout. New carpet in living room. New hot water tank 2017, new decks front and back 2017. Recently painted the exterior 2017-18. New glass and aluminum railings on decks. Updated kitchen with granite counter tops and stainless steel appliances. Beautiful, large, south facing, private back yard with huge deck and built-in hot tub. Perfect for summer entertaining! A must see! Open House. Open House on Saturday, September 8, 2018 1:00PM - 4:00PM Lovely family home with a 2 bedroom legal basement suite! Tenants moving out Sept. 30th. Open House on Saturday, September 8, 2018 1:00PM - 4:00PM Lovely family home with a 2 bedroom legal basement suite! Tenants moving out Sept. 30th. Lovely home in a lovely area - Grouse Woods! Close to schools. Quiet cul-de-sac. 3 bedrooms up and legal 2 bedroom basement suite. Currently tenanted top and bottom. The tenant is leaving Sept. 30th. Rental income is currently $4600/month plus utilities. New hot water tank 2017, New decks front and back 2017. Recently painted the exterior 2017-18. New glass and aluminium railings on decks. Some updates inside. A must see! Please do not disturb the tenants. OPEN HOUSE - Sat. Sept. 8th, 1-4pm. Homemade cookies too!